When summer swelters, it’s tempting to turn up the air conditioning to full blast to cool down your home. But that arctic air can equal huge energy bills, and leave you a little bit too cold for comfort. A fan is energy efficient and circulates a refreshing breeze through the room. But that soft breeze may not be enough to beat the heat. The solution? Use your fan with your air conditioning to cool down your home, save money, and keep fresh air circulating. It may seem counterproductive to run your fan and your air conditioning at the same time, since both use energy to operate. The trick is to use them wisely, and on lower settings. For the AC, this means keeping the thermostat closer to the temperature outside. If it’s 80 degrees outside, that means setting the AC to run at 78 or 75 instead of 70. When you run both the AC and a fan, you have the potential to subtract another 4 degrees from that number – dropping the 78 to a 74 or 75 to 71. That’s because fans circulate the cold air coming from the AC much more efficiently than the central AC is able to handle on its own. As heat rises, cold air sinks closer to the floor. Your AC vents push cold air out, but the air tends to settle instead of circulate. Meanwhile, if your home has a second floor, all the heat is trapped in the upper rooms of the house. Using a fan to disrupt the settled cold air and push it up and outward allows the cold air to move into hot spaces and disperse. It creates true air circulation and, if your fan is powerful enough, cycles and moves the air through the whole home, lowering the temperature and your power bills. When using fans with air conditioning to boost the cooling effect in your home, you have multiple, powerful options to choose from. The classic pedestal fan or box fan are trusted favorites when it comes to keeping cool in homes with central air conditioning. Place your fan beside or under the vent where the AC comes out to push the air out into your space. Fans can also be placed with their head tilted down so that the cool air sinking to the floor is forced to move upward and cool the room. A pedestal fan like the 18″ Remote Control Cyclone® Pedestal Fan and the 20″ Oscillating Remote Control Pedestal Fan have multiple speed settings for maximum air power. A box fan that sits on the floor is right at the level where the cool air settles. The high capacity strength of box fans packs a powerful blow, aggressively moving the air where needed. Try a Weather-Shield® Select 20″ Box Fan with Thermostat, which also can be used in a window to add a fresh breeze from the outdoors. You can also strategically position your box fans alongside window air conditioning units to create a wind chill effect. Window air conditioning units need extra help in distributing cold air. If there are multiple units in the home or apartment, multiple fans can be used to circulate cold AC air to the rooms where the AC alone may not reach. A centralized tower fan or air circulator provides extra air power. A tower fan like the 42″ Wind Curve® with Ionizer or the 48″ Xtra Air Tower Fan with Ionizer offers greater air flow to a room. Air circulators are faster than other fans, engineered to deliver a stronger wind factor. Try a Lasko® Motion-Air Whole Room Circulator or a 20″ Wind Machine® Fan to carry cool air swiftly through your home. Creating a wind chill with multiple fans is great for homes with a single floor. 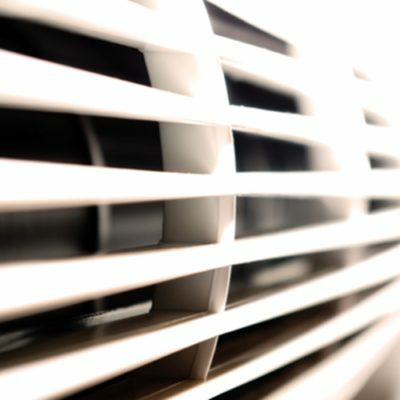 Multi-story homes may need to use multiple fan and window air conditioner layouts, or can rely on other energy-saving fan techniques, such as evacuating hot air with a window fan and keeping shades down during the day. Window fans, like the Electrically Reversible Twin Window Fan with Remote Control or the 8″ Electrically Reversible Twin Window Fan, can be used to exhaust hot air from a room when the AC is not on. If you and your family are gone most of the day and do not want to run the AC in an empty house, this is a smart, money-saving option. The Electrically Reversible Twin Window Fan can use one fan to push out (exhaust) the hot, stale air in the room, and use the other to pull in fresh air from outside. Remember that when you first turn on the AC, don’t turn it down to a colder setting in an attempt to speed up the cooling process. That doesn’t work and uses more energy. Patiently use your fans strategically to make the most of both your fans and your AC – and, ultimately, your wallet. For more tips on using fans with air conditioning, visit Where to Put Your Fans for Maximum Effectiveness and Let Fans and Air Conditioning Work Together to Cool Your Home. Comfortable Living News…brought to you by Lasko Products, LLC, leaders in innovative, quality, high performance home comfort products at a great value.